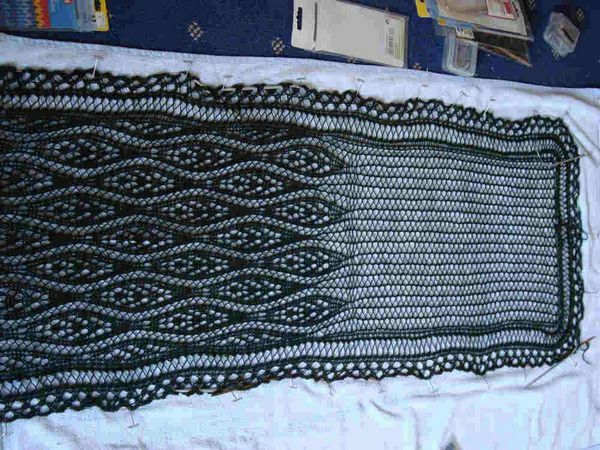 …all laid out for blocking. 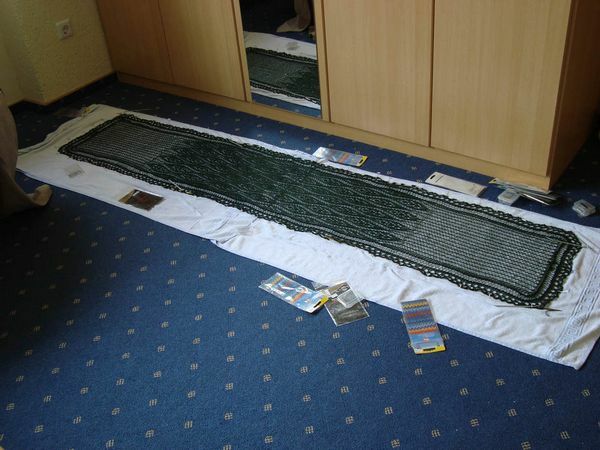 This shawl came out at about 15×86 inches. So there it is. Two versions, one design. 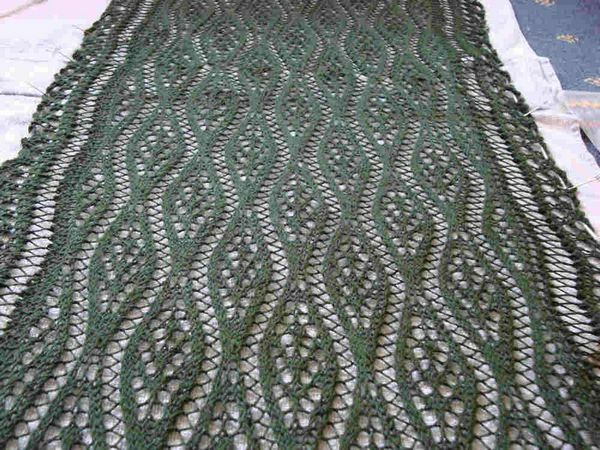 I love the color of this one, and I like the lace in the heavier yarn. The yarn softened up a lot on washing, and it has great drape, though it’s not as soft and warm as the alpaca. In sock weight merino, this is a spring or fall piece, where the alpaca is definitely a winter piece. It occurred to me last week that Branden has no handwarmers in Germany. He has 3 pair in storage in Madison, but none here where the weather is suddenly cold. And so began a new pair. Never hurts to have a few, right? Very beautiful! 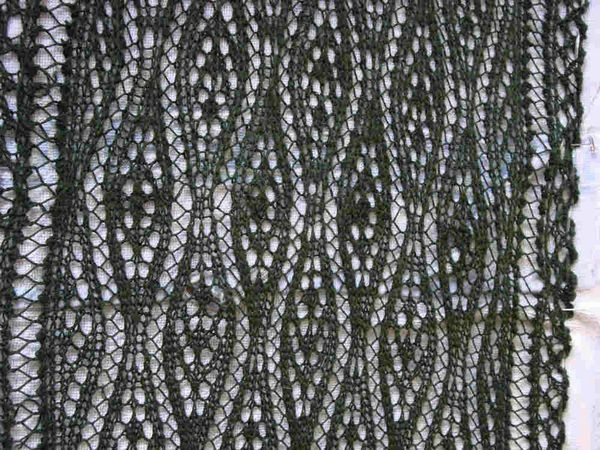 I love the flow of the waving lace into the openwork. 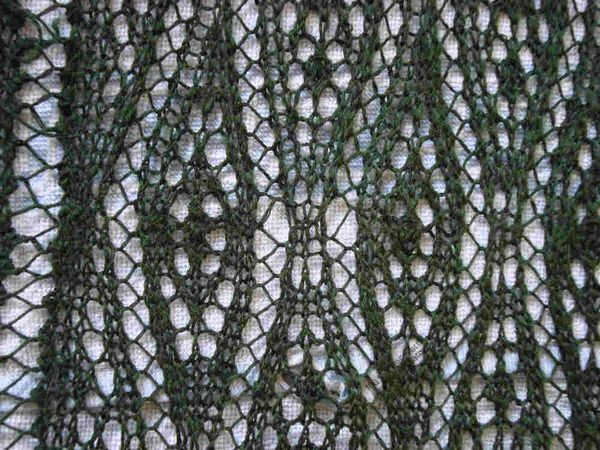 The waving lace just merges into the openwork now. And the join is really well hidden. The first was great, but the second has definitely surpassed it. Nicely done! 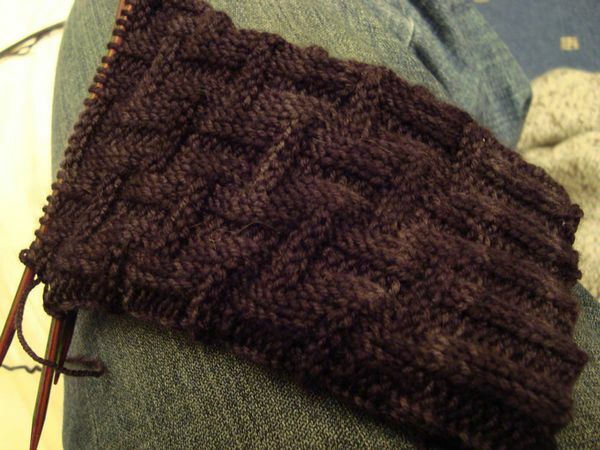 And the handwarmers look great, too. Nice contrast in texture with the shawl. DesigKnit is powered by	WordPress 4.8.9 . Page generated in 0.289 seconds using 33 queries.